The most popular 90s Australian supermodels: Where are they now? Where are they now? The '90s It Girls who graced the covers of our favourite mags. The term “It Girl” was thrown around a lot in the lost era of chokers and scrunchies. While using it to define someone with that certain je ne sais quoi that makes people quite literally want to be them existed long before the ’90s, the “It Girl” was an obsession perpetuated by mainstream media. And having “it” in the ’90s was no easy feat. “It” usually meant being genetically blessed with flawless skin, long, svelte legs and an air of effortless glamour. The ’90s was, after all, the supermodel golden era – a time when the world couldn’t get enough of the unattainable looks and undeniable attitude of the women who walked the catwalks and graced the magazine covers. Yes – models were the It Girls of the ’90s. There was Kate Moss – the too-chic party girl who somehow managed to pull off last night’s makeup time and time again, Naomi Campbell – all smouldering, sophisticated and a little bit fiery, and Claudia Schiffer – the Brigitte Bardot reincarnate, angelic yet sultry with blue eyes that didn’t seem real. Back home, however, the Australian It Girl had a slightly different edge. She was praised for her laid-back, down-to-earth persona, which made designers desperate to have her on their books, and little girls flipping through the pages of their Dolly magazines aspiring to be her. She was wholesome rather than angsty, with that sunny, fresh-from-the-beach, girl next door-thing. …And legs all the way up to her ears, of course. But the “It Girl” status – and the box it pertained to – came with a cross to bear. If the struggles of fallen Australian It Girls over the years have taught us anything, living up to the pressure of the title couldn’t have been easy. Then, or as the years went by and the modelling jobs drifted further and further from grasp as newer, younger faces rolled in. They are, after all, only human. This week, “ultimate It Girl” Annalise Braakensiek’s death shook the nation to its core, with many comparing her tragic end to that of Charlotte Dawson, who took her own life in 2014. These were the women who held a coveted spot on our pedestals for so many years. How could we, as a nation, have failed to help them in their darkest moments? As we mourn the loss of Annalise, we take a look at where her fellow ’90s It Girls are now. Bessie Bardot, Annalise Braakensiek and Tara Moss at a film premiere in 2001. Image: Getty. Braakensiek, of Czech and Norwegian ancestry, rose to fame quickly in the 1990s after catching the eye of a photographer at Sydney’s Bondi Beach. She was just 16 years old. Her modelling career took off, and in 1994 she was named Inside Sport’s Model of the Year, appearing on the cover of the magazine six times. She went on to grace the covers of international magazines including the Italian edition of Maxim and the US edition of Cosmopolitan. In the years that followed, the model turned to acting - appearing in Heartbreak High, Home and Away, and the ABC comedy series Fat Pizza. Over the past few years, Braakensiek turned her attention to social media, amassing over 40,000 Instagram followers, using it as a platform to talk about depression and to raise awareness of mental health as an ambassador for R U OK? Speaking to the Daily Edition in 2017, Braakensiek spoke of the unfair scrutiny over her mental health struggles. “It was the… negative reaction people had to me being depressed and falling under the dark cloud," she told the publication. “In many ways my life is wonderful, for which I’m extremely grateful and there’s no doubting that, but when you’re suffering these kinds of things for people to say, ‘how dare you - you’re a model, you’re a millionaire, you’re round the world’. The former model turned entrepreneur separated from her stock broker husband last year. She died alone in her Potts Point apartment on Sunday, January 6. Her final Instagram post on December 15, 2018, gave a glimpse into her dark head space: "Everything seems to feel twisted and upside down at the moment... am I right?!!!! Life’s challenges have been deep, dark, difficult, demanding and down right scary lately. For me and so many others I know." Charlotte Dawson attends the premiere of The Others in 2001. Image: Getty. At the tender age of 16, Charlotte Dawson left her native New Zealand to work for Ford Models in New York. And she never looked back. In the early 1990s, Dawson moved to Australia and worked as a fashion journalist on the Today Show, where she met colleague and close friend Richard Wilkins. Her career rocketed, and she became the beauty and fashion director for Woman’s Day and the style editor for New Idea. In 1999 she married Olympic swimmer Scott Miller, but the marriage ended just a year later. She went on to become a familiar face on our television screens, starring as judge and host of Australia&apos;s Next Top Model, as well as Beauty and the Beast, Getaway, Good Morning Australia and Burke’s Backyard. In 2012, Dawson made headlines across the country after she was admitted to St Vincents Hospital in Sydney following a suicide attempt. Dawson had been emotionally and mentally scarred by extensive trolling and cyberbullying that she had experienced on Twitter, including a barrage of messages prompting the outspoken celebrity to take her own life. Following the incident in 2012, Dawson committed herself to an anti-cyber bullying campaign where she called on governments, doctors and the community to take stronger action to prevent cyberbullying. Charlotte Dawson as one of Australia&apos;s Next Top Model&apos;s judges, in 2008. Image via Getty. In February 2014, she was tragically found dead in her Sydney home. Sarah Murdoch at a premiere in New York, 1997. Image: Getty. Prolific model and TV Presenter Sarah Murdoch was once an aspiring ballerina. She attended The McDonald College of the Performing Arts, but after being told by the ballet master she was too tall and would never make it as a ballerina, she changed direction - making a beeline for a career in fashion. Her modelling career began at the age of 17, when she was signed to Vivien&apos;s Management in Sydney. She went on to walk the catwalk for major fashion houses Karl Lagerfeld, Issey Miyake, Chanel, Valentino and Oscar de la Renta to name a few. Murdoch also dabbled in acting, starring with fellow supermodel Shalom Harlow in the romantic comedy Head Over Heels, as well as appearing on an episode of Friends. In 2014, she hit her record-breaking 11th Vogue cover, which paid tribute to the work she was doing with the Australian Ballet - bringing dance to disadvantaged students around the country with the “Out There” program. In 2010, the former Australia&apos;s Next Top Model host made international headlines when she accidentally announced the incorrect winner during the live finale. Sarah Murdoch at the 2018 Vanity Fair Oscar Party. Image via Getty. Sarah and Lachlan Murdoch now live in LA with their three children - Aerin, eight, Aidan 12 and Kalan, 14. Known by many as the original Aussie supermodel, Alison Brahe, now Alison Brahe Daddo, was a regular on the covers of Dolly, Cosmopolitan and Cleo throughout the &apos;80s and &apos;90s. In 1991, she married Australia’s most eligible bachelor, Cameron Daddo, with whom she has three children: Lotus, River and Bodhi Faith. In 2017, Brahe moved her family back to Australia after 25 years in the US - more than half her life. 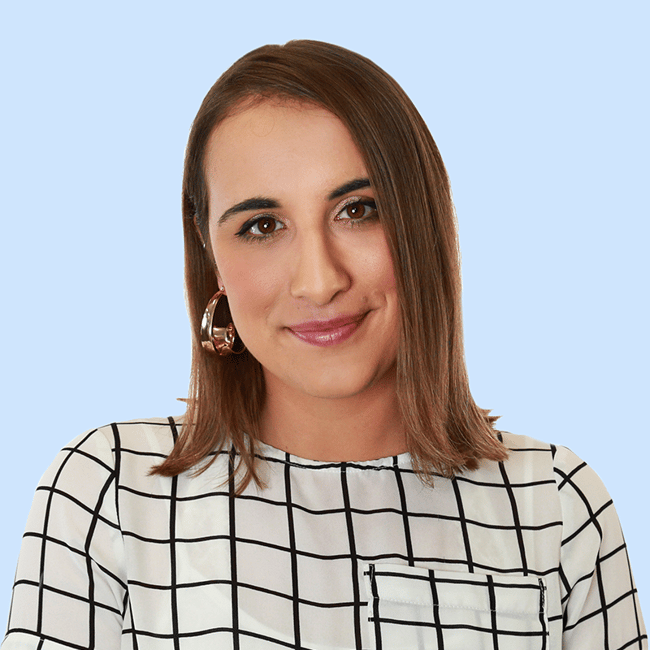 The former face of Portmans told Mamamia in 2017 that she initially struggled to settle in the US, but when it eventually "clicked", it was difficult to come home. "I had my childhood in Australia but I grew up in America. My dreams came true in America, I became a teacher, I became a mother, I became an advocate," she said at the time. "And now I&apos;m over here, starting all over again with a 21 year old, 17 year old and 11 year old." Jodhi Meares and Formula One racer Alex Zanardi, 1999. Image: Getty. Jodhi Meares, who was once married to James Packer, first stepped into the spotlight when she was chosen as a Moove milk model at the age of 15. In 1992, she sang in the band Euphoria, before making her name as a glamour model and moving into swimwear design, establishing popular label Tigerlily Swimwear. But life in the spotlight didn&apos;t suit Jodhi, who famously suffered paralysing stage fright before the series live finale of Australia&apos;s Next Top Model in 2008, leaving the the late Charlotte Dawson to step in at the eleventh hour. And the controversy surrounding the model didn&apos;t stop there. In 2014, images were splashed across our screens that she had been arrested for drink driving. She had crashed her 4WD and smashed three other parked vehicles - for which she pleaded guilty for driving under the influence of alcohol. Then, in early 2015, her engagement to Jon Stevens, the lead singer of Noiseworks, came to an end, with the media viciously scrutinising the breakdown. Before they split, police were called to the couple’s home to arrest Stevens for a domestic fight that lasted over three hours - resulting in an AVO taken out against Jon. The model and businesswoman is now living on the Hawaiian island of Oahu. Portia De Rossi, Elle Macpherson and Kate Fischer, 1994. Image: Getty. You might remember Kate Fischer, now named Tziporah Atarah Malkah, as a Dolly cover girl at 13. She was also engaged to billionaire James Packer at 22. She was a stalwart &apos;90s It Girl - starring next to Portia de Rossi and Elle McPherson in the Australian move Sirens. She told the Australian Women&apos;s Weekly that after her split from Packer, she fled to LA to give acting a go. While there, she fell in love with a man but lost all her money, drifted away from the bright lights of LA and into Judaism. She converted. Changed her name. Moved back to Melbourne quietly, flat broke, and lived in a house for homeless and vulnerable women. She was working in aged care, looking after elderly psych and dementia patients, and getting on with her life when she was &apos;outed&apos; by the paps in 2016. The very next year, she joined contestants on I&apos;m a Celebrity, where she opened up about developing a “chronic eating disorder” at the age of eight. In May 2018, she pleaded guilty to assaulting her ex-partner as well as one count of resisting police, three counts of assaulting a police officer, and one count of disorderly behaviour. Happy New Year! Much love to the fabulous & very generous Billich’s. Sydney fireworks ???????????????????? woo! ???? It is understood she is currently working in aged care. Sarah Murdoch, Anneliese Seubert and Emma Balfour (far right) at Australian Fashion Week, 1996. Emma Balfour is known by many as the most down-to-earth supermodel you will ever meet. Making a name for herself in the &apos;90s during the original era of the supermodel, Balfour was arguably one of Australia’s biggest fashion exports. Oh, and she hung out with Kate Moss who apparently sometimes called her "Mother" due to her preference to knit rather than engage in the drug-taking that was prominent in the industry at the time. Emma Balfour at the GQ Australia Men of The Year Awards in 2018. Image via Getty. She is now living a much quieter life as a mother to Bruno and Elliot, occasionally dipping her toe back into the fashion industry, most recently as one of the faces of Westfield&apos;s The Front Line campaign.